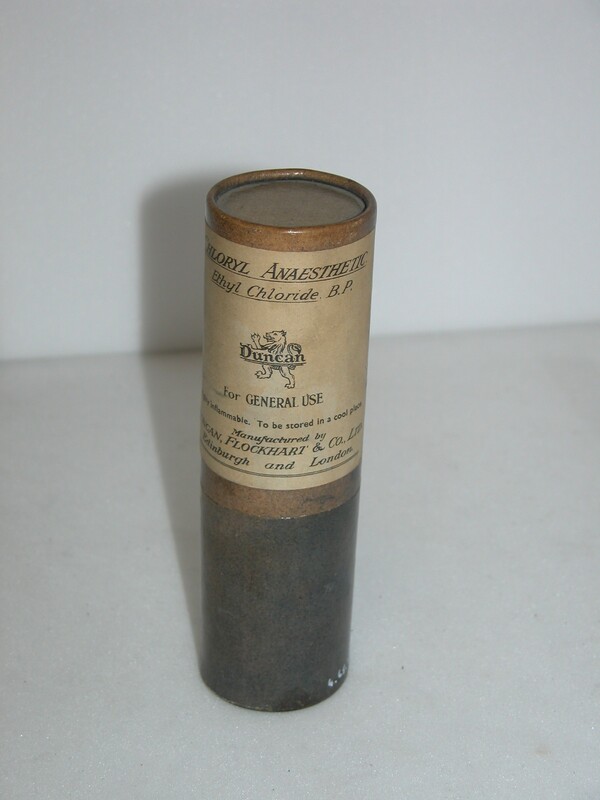 This was the first inhaler that easily regulated the amount of ether vapour inhaled and was very popular. Invented in 1877, it was still used during the First World War. The design was modified by Hewitt in 1901 to improve patient comfort and ease of use for the anaesthetist. Said to have been discovered by Raymundus Lullius in 1275 and named ‘sweet vitriol’, ether was one of the first anaesthetic agents to be discovered and was used until well into the twentieth century. 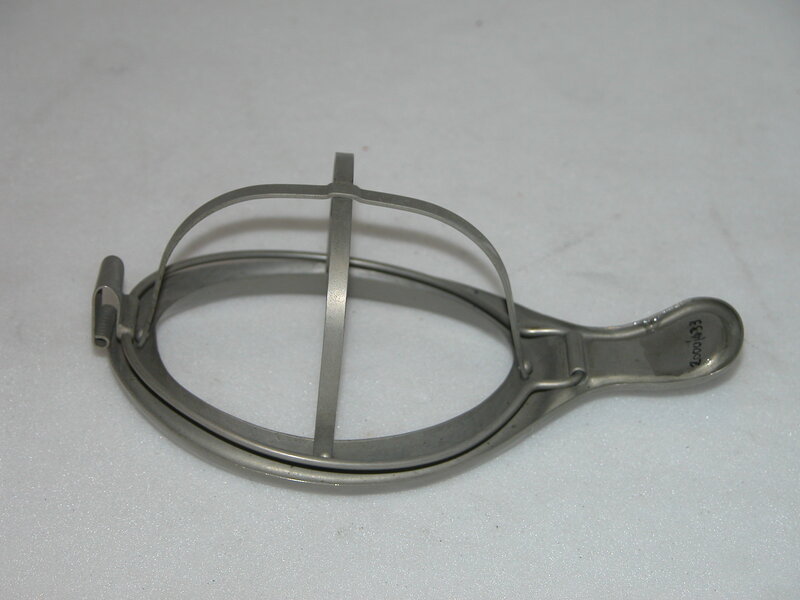 The standard mask for early anaesthesia, the Schimmelbusch has a gutter around the edge to collect the anaesthetic liquid, preventing it from touching and irritating the patient’s face or eyes. Though a basic design, there are many variations to the Schimmelbusch mask: the Anaesthesia Museum has over 40 examples, all of which are slightly different. Ethyl chloride was first made in 1759 by Guilliaume Rouelle, and was first used as a general anaesthetic in 1848 by Heyfelder. This example is a spray from 1953 and contains the liquid at a slight pressure as it becomes a gas at room temperature. Created in 1892, this design had a larger bottle than Junker’s original. The face piece is hinged to keep lint in position over the patient’s nose and mouth. This apparatus was created in 1916 during the First World War. Shipway believed that warm ether vapours were better for the patient and more beneficial to inhale. 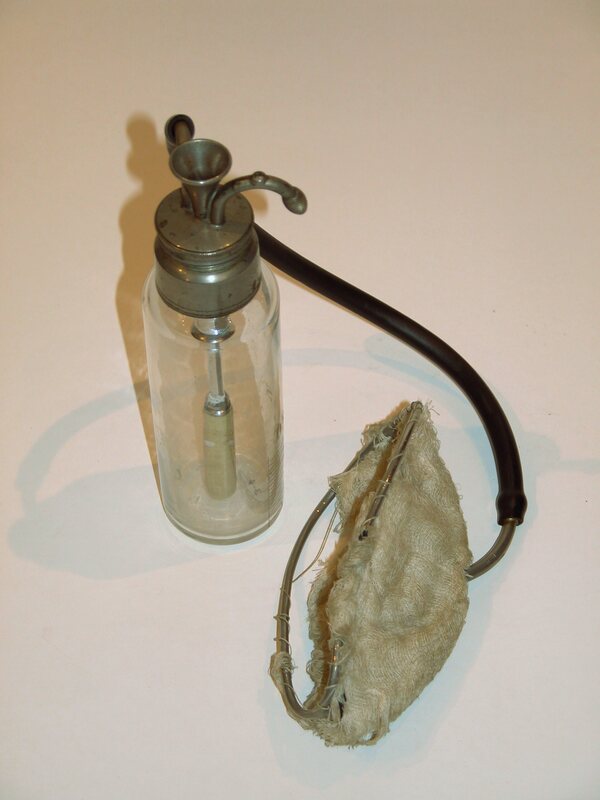 Produced in 1926, almost ten years after Boyle’s original design in World War One, this apparatus has three bottles with bubble sight meters, five filler inlets with corks and a large-bore mixing tube connecting the bottles to mix the anaesthetic agents. Fentanyl is a potent, synthetic analgesic and has been in use since 1960. It was used for pain relief in the Falklands War. Omnopon is a powerful opiod analgesic and is used for moderate to severe pain. It was used for pain relief during the Falklands War.